Share your innovative ideas for a chance to win. 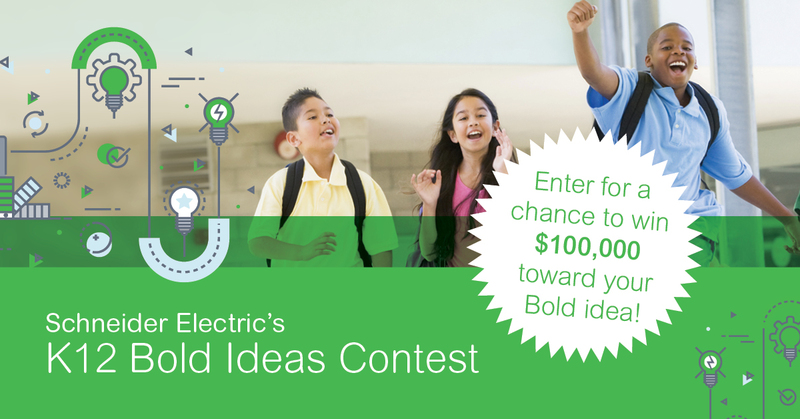 For a chance to win $100,000 for your school or district, submit your innovative idea to Schneider Electric's K12 Bold Ideas Contest. Wow. $100,000 is some game-changing money. That’s why when we heard about Schneider Electric’s K12 Bold Ideas Contest, we knew we had to share. Ready to transform your school district? Just click the orange button below to enter.